If you have looked into purchasing a franchised business, or you are in the franchise industry at all, chances are you’ve heard the term discovery day. Each company’s discovery day will be executed differently, but the general idea of discovery days is exactly what it sounds like. It is a day for you, as the potential franchise buyer, to discover more about the company, the opportunity, the benefits, the business model, and your franchise team. Discovery days are a great time to bring along others that will be involved or impacted by your business buying decision, like a spouse, a son or daughter, or a potential business partner. Your first-hand opportunity to see the clockwork – What makes it tick? Meeting of the minds behind the science – Meet the team! First impressions – Show you why choosing the franchise, their team, and their systems is everything you imagined! While the discovery day is the ideal situation for you as the potential franchise owner to evaluate the opportunity, it is also a day for the franchisor to get to know you better, and evaluate if you will be a good fit for their business model/system. The concept of discovery day is extremely efficient and beneficial for all because it allows prospects the opportunity to visit without being fearful of having to meet an intimidating salesperson for a high-pressure situation. This event is specifically designed to be an educational experience and it is not meant to end in signing you on the spot. In fact, it has been described by franchises everywhere as a time to “leave your checkbook at home”. As you may be suspecting, Discovery Days are a big deal, a big commitment, and often a big expense. Because you are taking your time out of your busy schedule and your money to travel to this location to get to know the franchisor better, make sure that you are getting the most out of your experience. Come with questions, take notes, and really get to know the team and their daily operations! 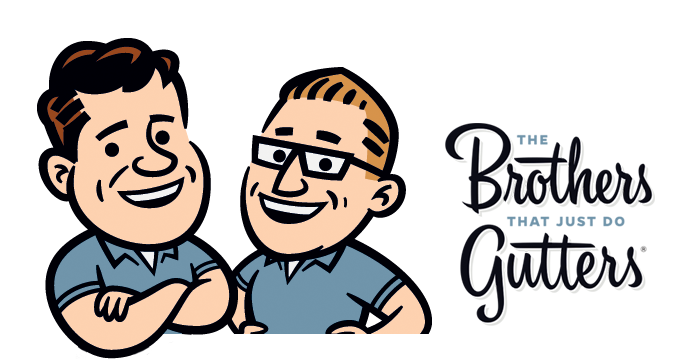 At The Brothers that just do Gutters, we actually prefer to call our discovery days “meet the team day”, because well that’s really what it is. We want you to meet us and get to know us better, but we also really want to get to know you and to evaluate if we think you’d be a great fit to ultimately be awarded a franchise. At The Brothers that just do Gutters, we have a bit of a unique situation, because we actually own and operate our headquarters location in the Hudson Valley of NY. This means that when you come to a Discovery Day in NY, you are not only able to greet the franchisors yourself, but you are able to see where it all began, and how a multi-million-dollar business runs under this system. Maybe you didn’t even believe or imagine it was possible to be a million-dollar-gutter company. Well, it is and we’ll show you how! 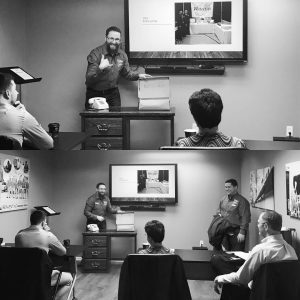 Personal introduction with the entire franchise team – This will give you a little glimpse into what each department and team member will be doing for you! The history of The Brothers – This is where you will really learn about your Franchisors; their experience, their journey, how they started the business, how they grew it to where it is today and their vision. Deep dive into the whole opportunity – At this point in the day, our franchise development specialist will explore the entire Brothers Gutters opportunity with you in depth. During this time, as we discuss each department, you will hear more from the individuals that run that department that you were introduced to earlier. Franchisor interview – Now, you will have some time to talk one-on-two with the franchisors themselves, Ken and Ryan. During this portion of the day, Ken and Ryan will get the chance to ask you some questions and get to know you better and on a more personal level. This is where we will evaluate if we believe that you are a good fit for our franchise system. Feel free to ask some of your own questions at this time as well! Tour the facility – We will take you around the NY headquarters to show you exactly what an established Brothers Gutters location looks like and how it runs day-to-day. This tour will include the supply and material shop, the trucks, the marketing office, the contact center, the production office, and Ken and Ryan’s office! When you attend a discovery day, you are allowed the opportunity to get a “behind the scenes” view into the business that you may potentially be buying yourself. This is a great way to truly get a feel for the team you will be building your business with, and to get an idea of just how smoothly the business system runs. This in an invaluable time for you during your franchise research process. At The Brothers that just do Gutters, we truly believe that what we are offering is a unique and incredible opportunity for the right person! Watch our videos, read our blogs, follow us on social media, and/or subscribe to our newsletter to learn more about us! Interested in learning more now, or finding out when our next meet-the-team day is? Contact Dana today!